Ready to join the Rescue Team? Rescue dolphins, birds and turtle with this 6-piece Dolphin Tale 2 Moveable Action Figure Playset! 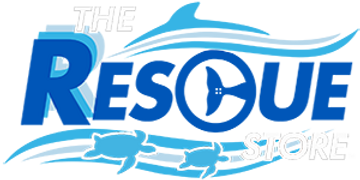 Become a Clearwater Marine Aquarium trainer with 2 trainer action figures, Winter the dolphin, Hope the dolphin, Rufus the pelican and Mavis the sea turtle! Best of all, 100% of the proceeds from your purchase goes directly to supporting our mission of Rescue, Rehabilitation and Release of marine life, and the long-term care of our resident animals! Got this set as a Valentine for my granddaughter. She is thrilled with it! Was delivered as promised. My granddaughter had this already and a child came to visit and broke off the tale. When she came over on Friday and opened she was so excited. We hope to bring her to the aquarium in the future. Thank You so much. Really liked the set of winter. These toys are so real looking, they even have moving parts. My girls have not put these down much since they got them. They saved up half the money to buy them, so that makes them even more special. Plus part of the money goes back to Clearwater to help with their cause, so it's a win/win. My Daughter Loved it, she stayed in the tub for a longer time. I bought this set to use as a birthday cake topper as well as a gift for our 8 year old future animal dr. In my opinion it is overpriced...shipping was additional $12!! The toys are movable but I can see how it would be easy for kids to break them if they were playing to rough. The animals are great but the trainers are not proportioned right. They are smaller than the animals. It served it's purpose as a cake topper set and everyone loved it! We have given them to our daughter but have warned her to play carefully with them. Great Dolphin Tale 2 play set! I bought this for my daughters 7th birthday. She loved it! She said it was her favorite present. Now she can pretend she's part of the CMA team!